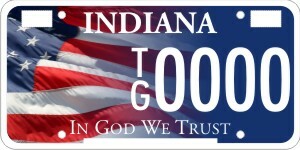 In God we Trust License Plates? Yeah, I know what you’re thinking. Religious license plates? Yep, that’s right. I was really put off by the idea when I first saw the link, but I clicked anyway, and what do you know, the plates are really well designed! If you live in Indiana, go ahead and vote for your favorite! I know what you’re thinking. I wasn’t too interested in this link when I first saw it, but to tell you the truth, the plate design simply looks good. I’d seriously consider putting these on my car. If you are living in Indiana, go ahead and vote for your favorite. What do pastors get paid? They provide many different ways to view the study data. Choose customized report, enter your church information, and see how nice you treat your pastor compared to what other churches like you are doing.